Don’t miss out on the new Publix Refresh & Renew promotion! Now through 5/18 you can receive up to a $20 Publix gift card when you purchase participating P&G products. 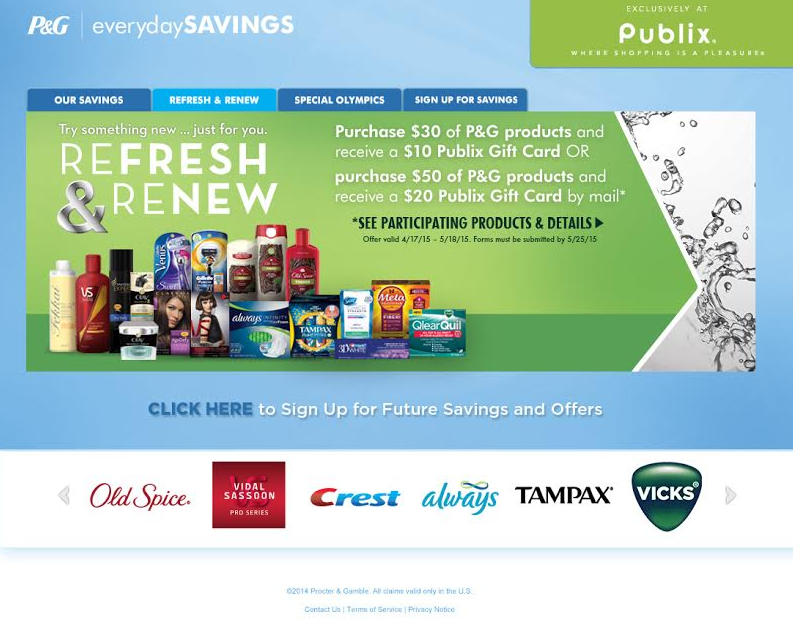 Purchase $30 of participating P&G products and receive a $10 Publix gift card. 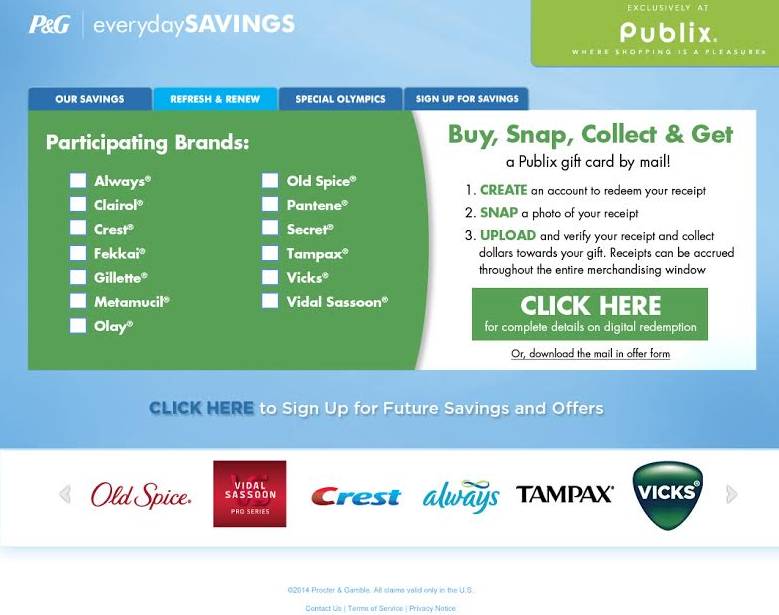 Purchase $50 of participating P&G products and receive a $20 Publix gift card. -Take a photo of your receipt. -Upload and verify your receipt. You have until 5/18/15 to make your purchase and through 5/25/15 to send in your forms. There is a limit of one rebate per household and purchases do not need to be made in the same transaction (you can upload or mail in multiple receipts). One Southern Savers reader is going to win a $100 Publix gift card. Leave a comment below telling me which products you’ll be buying to earn your rebate. This post is sponsored by P&G but all opinions are 100% my own.